Hipoterapia pre účastníkov aktivity a pozvaných obyvateľov miestnej komunityRealizujú študenti a zamestnanci SOŠ Pod Bánošom pomocou vlastných zvierat za pomoci účastníkov mobility z partnerských krajín. This part of the program comprised testing of teaching materials and procedures, issuing certificates for all participants who acquired theoretical knowledge and practical skills in implementation of apitherapy, beehive air inhalation being able to assist in the realization of these activities for inhabitants of the local community, kindergartens and facilities for senior citizens. Some of the students used up the opportunity to spend the night in the house where beehive air inhalation is conducted. International dictionary of the professional terminology in animaltherapy was completed. Theoretical and practical training was followed by testing of theoretical knowledge and practical skills. „Apitherapy Assistant Certificate” was granted to successful participants. Hippotherapy for participants and invited audience from the local community. 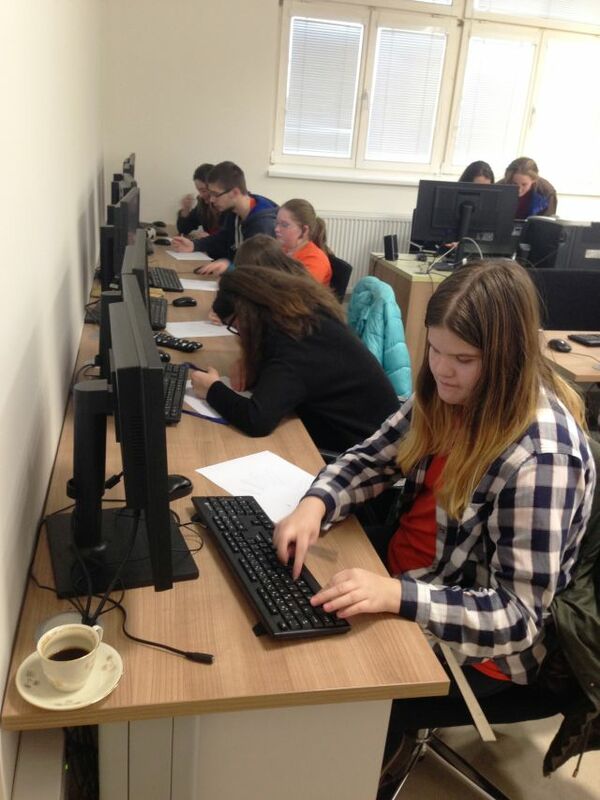 The demonstrations were guaranteed by the students and employees of SOŠ Pod Bánošom, assisted by mobility partnerner. Realizovali študenti a zamestnanci Tauferovy stredné odborné školy veterinární Kroměříž pomocou vlastných zvierat za pomoci účastníkov mobility z partnerských krajín. Materials and procedures of teaching were tested. Certificates were issued for participants who underwent the theoretical and practical training in implementation of animaltherapy, were able to assist by the implementation of these activities for handicapped children from the partner kindergarten and local community. Some new words were added to the international dictionary of professional terminology in animaltherapy. Theoretical and practical training was followed by testing of theoretical knowledge and practical skills. 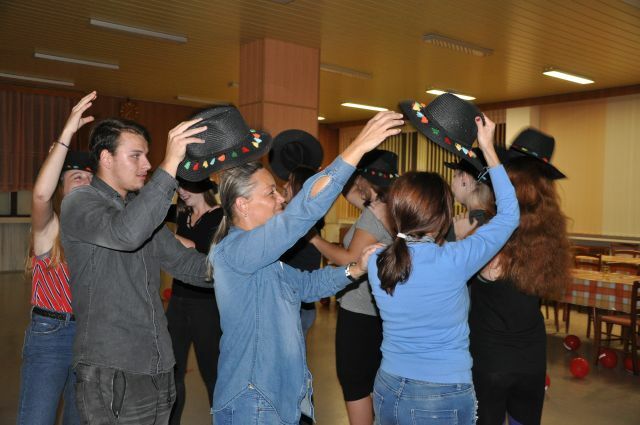 „Apitherapy Assistant Certificate” was granted to successful participants. 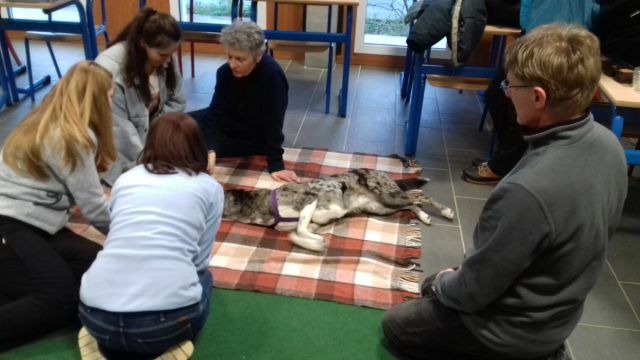 The demonstrations were guaranteed by the students and employees of TSOŠ veterinární Kroměříž, assisted by mobility partners.